Happy Friday, friends!!! It's an EXTRA good Friday because we have a day off!!! WOO HOO!!! We are so excited to have a family day. 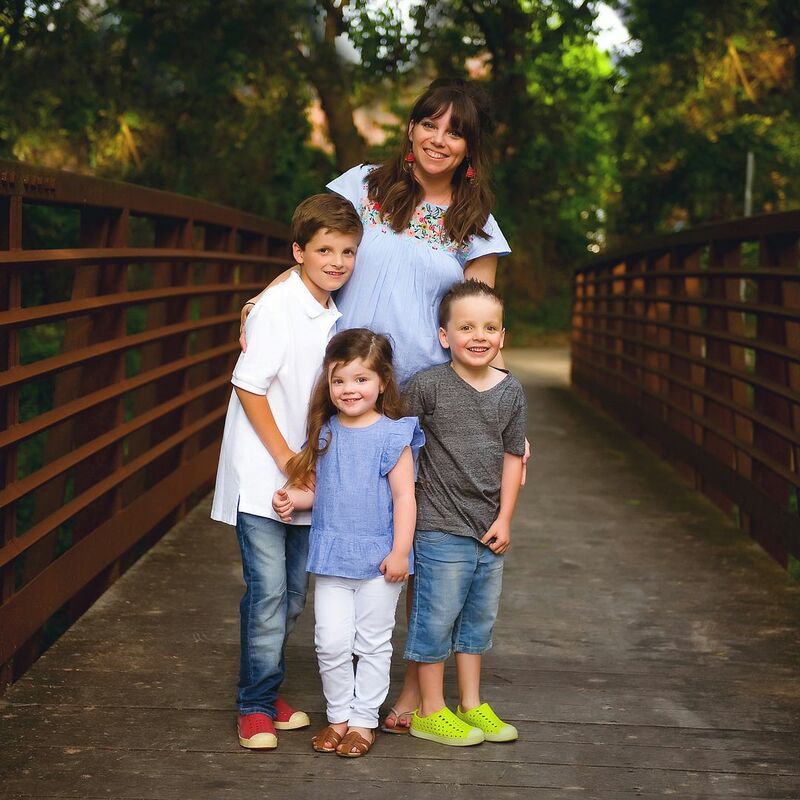 Erika, Narci and I Are joining forces again and sharing our Friday Favorites. If you want to join us just grab our graphic and link back to one (or all!) of us. We always seem to end up biting into lemons. It's gross, but the funny faces make up for it. Griffin came with us so Dave could run to work really quick before the pep rally and she had so much fun coloring with some of the kids before first period. Three of my FAVORITE kindergarteners! I have a new FAVORITE sweater that I got to break out earlier this week. It's comfy and cozy, but light enough to wear this Fall. IT's just all around fabulous. The color is great and I was loving it with my dark grey nails. We spent a TON of time outside on Monday and it was just warm enough without being bulky. I'm obsessed. If you teach middle school (I think it's just a middle school thing), then the next picture will probably be your FAVORITE too. Last Friday Griffin spent an hour or so with my dad because Dave had a golf tournament and had to be at work around 5:30 a.m. and the boys and I had to be at school. We dropped Griffin off at Gibi and Haha's and Dave picked her up about an hour later to take her to Miss Lisa's. Well... that one hour has ruined her :) She wants to go play with Haha every single morning. It MAY have to do with the fact that he fed her chocolate chip cookies before 8:30 in the morning :) Every morning she asks to go and every morning she's bummed. I just picked up this top from Hippie Chick and it is so cute!!! The embroidery is for sure my FAVORITE part. It's a charcoal gray color and I think that this would look so cute with jeans and booties this Fall. 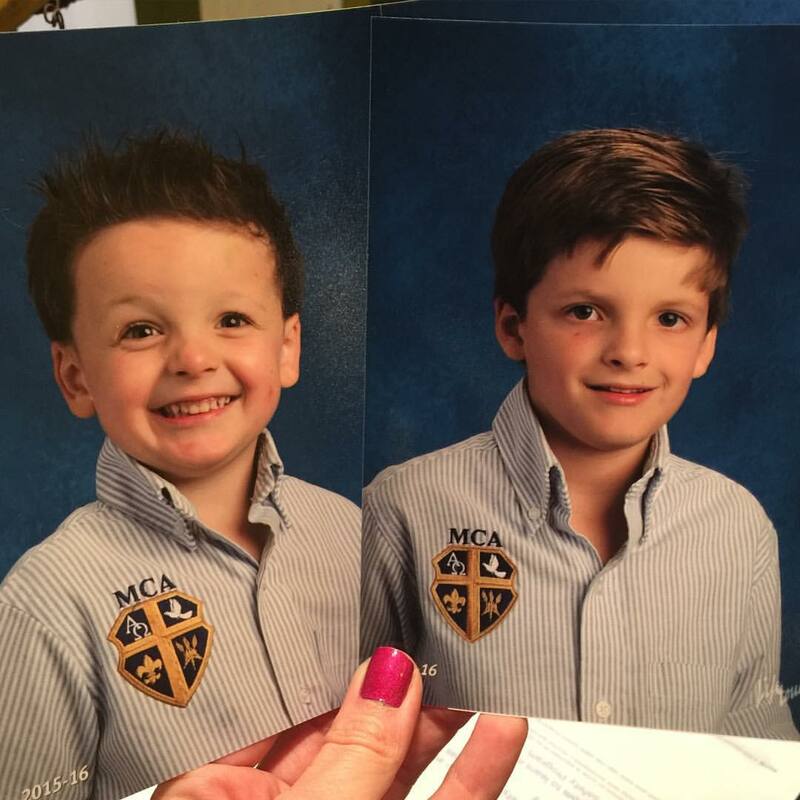 Getting the boys school pictures back is my FAVORITE!!! They always look so cute and I love getting to see how they turned out. Last night Mason and Griffin and I took Mason to soccer practice and had the best time. The weather was PERFECTION and so we packed some of their FAVORITES for dinner and watched Mason practice. The playground at MCA is our FAVORITE! After soccer we picked up some dessert and headed home to ride bikes before it got too dark. WE ate our cones, played in the driveway and chased a few fireflies before heading in for baths. All my FAVORITES. It was a whirlwind week but a great one! Can't wait for a fun and relaxed weekend. YES, it IS a middle school thing! Luckily, I think the fad has almost died out in my 6th graders! Thanks for hosting today! OMG! I'm OBSESSED with that Hippie Chick top!!!!!! I'm going to have to totally copy you and get that. I LOVE IT! The pictures of Grififn at the park are just precious!! Love! My HIGH SCHOOLERS are flipping the dang water bottles!!!!! I've banned them already!!!! Driving me crazy!!! It's not just middle school kids. 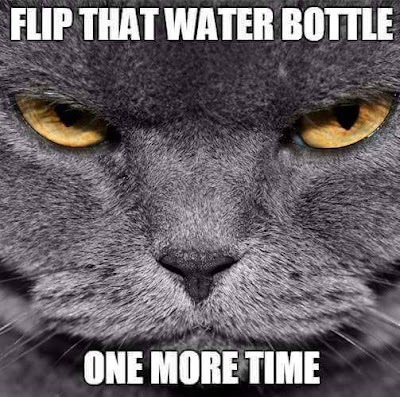 My 11th and 12th graders keep flipping their water bottles. It looks like you've been having a fun week! That's so sweet about Griffin and your Dad! Question, what brand jeans are wearing with that new hippie chick shirt? I mean those school pictures. Mason's cheese face is the best! Oh my gosh YASSSS with flipping the water bottles!!! Love the lemon faces! Why is that always so fun?? LOve your blog. Your children are the cutest. Where did you get Griffin's jeans and clogs they are the cutest..? I have a granddaughter that i would love to get some for her. Thanks..
OMG THE FLIPPING WATER BOTTLES HAS TO STOP!!!!!!! Make it STOP!!!! My kids are obsessed and I have already brought out the mean MAMA!!!! 5 kids in my house, and THREE are flipping bottles. The last 2 are starting it too. I am like, WHY.....we even spray painted some that they LOVED the most, so they have specific bottles to themselves! Seriously with the water bottles! My 8th grader has been doing this ALL summer! Drives me NUTS!!! Lol!!! We are in California, and it's so funny to see all the comments about this and how kids this age all across the country are doing the same thing! Happy Friday! Thanks for posting great stuff! I teach high school and they are flipping water bottles all the way to 12th grade. Last week, I was so over it, that I started taking water bottles at the door, emptying them, and throwing them away. I didn't care if it was ice cold from the snack machine. :/ It's crazy how the flipping water bottles phenomenon has swept across the country in every school! Happy Friday!! That Hippie Chick top is gorgeous! Ha! I think I would want to spend my mornings with Haha too!!! Elle is the same way. She recently spent a Sunday morning with my mom. Now she wants to spend all of her weekend days over there. Nana is a softie and lets her do whatever she wants. I can't stand the bottle flipping!!! I've banned it in my 6th grade class. I've also had to ban the word clowns. Killer clowns are a thing here in Ky. It exploded in one day. First period I hear no word of it and by fourth period the rumor is they were on the playground at an elementary school and another school had to go into lock down. I can definitely attest to being over the flipping water bottles craze. My 8th graders are flipping them off each other's backs, off the desks and chairs, you name it, they've tried it! Ahh!! I saw this article this morning and thought of your post!!! Lol bottle flipping!